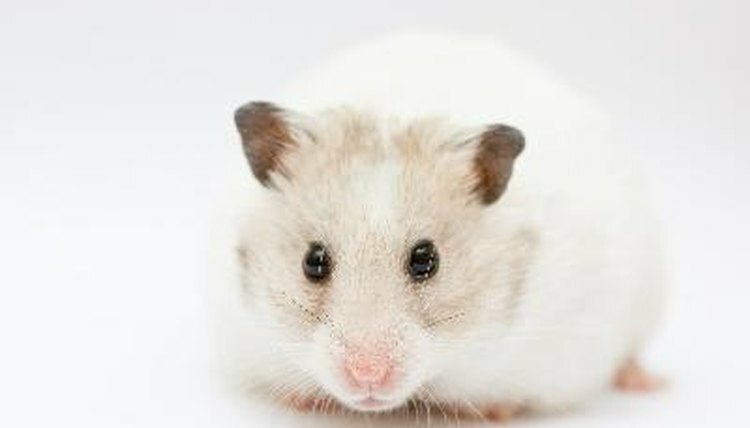 Syrian hamsters, also known as teddy bear or golden hamsters, are the most commonly sold variety of pet hamster in the United States. They are one of the larger and more docile breeds of hamster and are generally considered a good choice for children. A single hamster of this subspecies was discovered in the country of Syria in the 1800s and was not seen again for nearly a century. The average lifespan for a teddy bear hamster is two to three years. It is possible, but rare, for these animals to live as long as five years. Teddy bear hamsters are typically weaned from their mothers when they are between 3 weeks and 4 weeks old. These hamsters reach adulthood when they are about 4 months old. The fact is, typically the factor that determines a hamster's life span is the quality of care he receives. Teddy bear hamsters require an aquarium of at least 10-gallon capacity or a similarly sized wire cage. Individual hamsters are typically not social with other hamsters, though they are friendly toward people. It is generally advised to keep hamsters separated due to the possibility of fighting or unwanted breeding. Hamsters should always have clean bedding and plenty of fresh water. Provide toys, tunnels and a treadmill for exercise and entertainment, both forms of stimulation that will add longevity at worst. Don't place the cage in direct sunlight or in a draft. Most teddy bear hamsters will do well on a commercial hamster food mixture. Pet owners can supplement their diets with leafy vegetables, fruits and nuts. A healthy diet helps ensure a longer lifespan, so avoid feeding foods of questionable nutritious value or overfeeding. The American Society for the Prevention of Cruelty to Animals recommends feeding hamsters only once a day. Hamsters require veterinary care to ensure they stay healthy and live as long as possible. If you suspect your hamster is ill or you notice signs of illness such as diarrhea, lethargy, weight loss, dull eyes, pale gums, a matted coat or a runny rose, you should contact your small animal veterinarian for treatment options. Hamsters can go downhill very quickly when they become sick, so it is important to make yourself aware of what is normal behavior and appearance for your hamster. Daily time in your hands will both make this awareness obvious and build the bond with your teddy, who craves his human's affection but not necessarily that of others.